on July 8, 2015, 7:25 p.m. The first Test of the 2015 Ashes between England and Australia is already underway in Cardiff, and the surveys reveal a massive expectations gap between English and Australian fans. In Australia, fully three-quarters of fans expect their team to win the first Test – in England and Wales the number is only 42%. A third of England fans think Australia has the advantage, nearly three times the number of Australians who think the opposite. 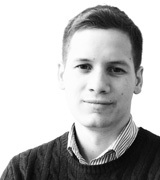 In both countries expectations are lowest for a draw (21% in England and 10% in Australia). 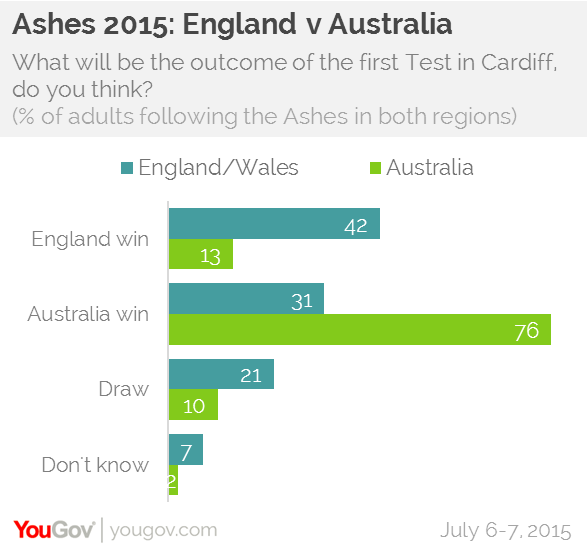 For the 2015 Ashes YouGov will be surveying Australian and English cricket fans about their expectations for each match. Only those who said they would be following the Ashes series in England very or somewhat closely were polled – this time, this included 428 respondents in Britain and 346 in Australia. When asked about the outcome of the whole series, Australia fans are again far more optimistic. 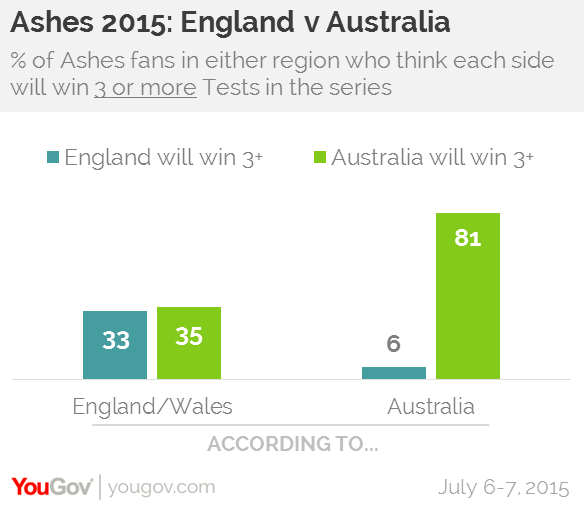 81% expect Australia to win 3 or more Tests, including 8% who expect to win 5-0. Among cricket fans in England and Wales, only a third (33%) say England will win 3 or more Tests, which is about the same as the number who expect Australia to win that many (35%). Only 2% expect England to win all five. This will be the first Ashes for England since the controversial departure of batsman Kevin Pietersen. Fans in England and Wales tend to think the team would be better off with Pietersen on the side, but only narrowly (44% to 36%). Australians are also divided, with 47% saying England would be better off with the 35-year-old playing and 41% saying they wouldn’t be. In March a YouGov survey of British cricket fans found equal numbers for and against his inclusion in the England cricket team. Pietersen, for his part, has said he expects Australia to win the series 2-1 over England.